Jenna is a student of Mr. Jeff Cayton here at the Almaden School Of Music and Art. She is deaf and blind but is still an extremely hard working and dedicated student with a passion for music that is truly inspiring. She has enjoyed music, dancing, skiing, and playing the piano since she was little. 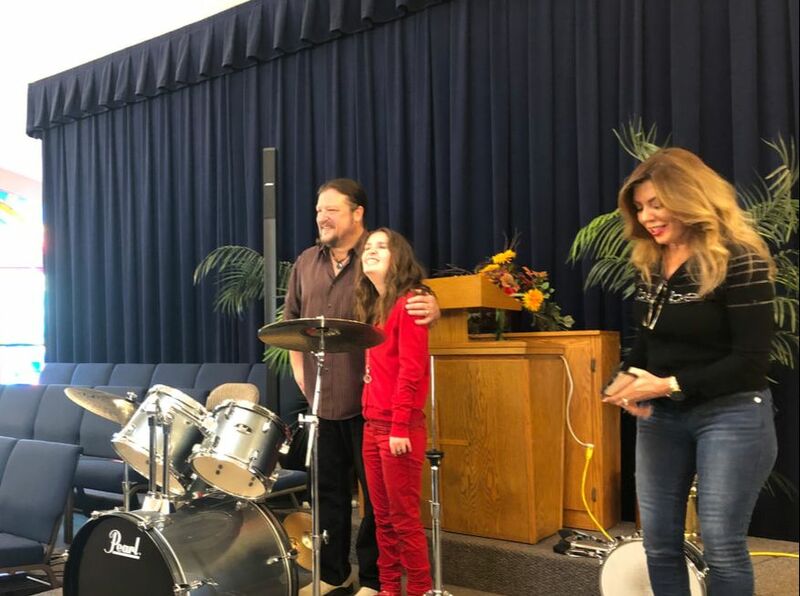 She really liked playing the drums at her school and decided to pursue her talents here at the Almaden School of Music and Art. She has had great experiences developing and displaying her talents with the help of her parents and teacher, especially in our recitals. Her instructor, Mr. Cayton, says "she's an amazing human being. I've been teaching for 16 or 17 years and...I have to say, [teaching Jenna] has been one of the most amazing experiences I've had teaching".